Purchase to earn 35 Points! Here’s one for my collectors … orbicular jasper. I’ve sourced the best on the planet, purchased directly from Madagascar, and let me tell you – on the open market these pieces sell for 4-6 times this price. 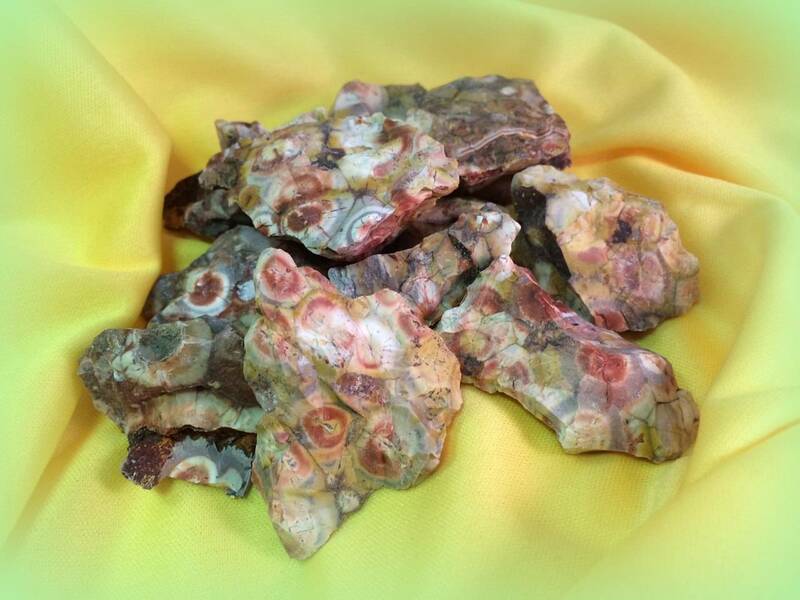 Orbicular jasper comes from just one set of waterfront mines in Madagascar and their value is based on intensity of color and purity of the circular formations. These rare pieces have BOTH the color and the formations you look for. Truly, these are once-in-a-lifetime finds. I feel lucky just to have them to offer to you! They say orbicular jasper is a representation of the Universe and that locked within each piece are secrets of our massive Universe that will be revealed to you as you work with your gems. These stones hold mysteries so ancient and deep – and they are just waiting to reveal them to you, if you are called to hear them. This listing is for one (1) piece of orbicular jasper. Each piece is about 1.5-2″ in size. Yours will arrive lovingly parceled along with a single leaf of white sage and a card describing the properties of the stone. Aho and bright blessings of joy to you!